– Over 15 years ago: After hearing Andrew MacDonald’s JUNO award winning and beautiful violin concerto, we decide to commission a double concerto by this amazing composer. So, we do, with the help of the Canada Council for the Arts and the enthusiasm of the NSO, with whom we premiere the work in St. John’s. – 2001- 2013: Numerous performances of Andrew’s Double Concerto as well as the Mendelssohn with various orchestras in NS, PEI, and ON help us to feel like we really “know” these pieces. – 2011-2014: Finding the $$$. Numerous grant applications (Tim spent hours figuring out FACTOR) and other ideas – some successful, some not – finally enable us to fund this ambitious project. We’re grateful for the support of FACTOR, the Newfoundland Labrador Arts Council, Memorial University, the NSO Foundation Inc., and numerous private donors (many through a Kickstarter campaign). – 2013: The engineer we line up for the project — multi award winning producer/engineer Carl Talbot — breaks his hand. We need to completely reschedule the recording sessions and release plan. The project is delayed 10 months. Finding synergy in the schedules of conductor, producer, 60 players, and hall is no small feat! On top of all of this, there is still a lot of financial uncertainty. Our friend, Tom Gordon, tells us to persevere. – September 2014: Three intense days of recording finally take place at the DF Cook Hall. Somehow we fit 60+ musicians on the relatively small stage, plus a grand piano. Andrew and Carl Talbot fly in from QC. Carl, who does a fabulous job, turns out to be more than worth the rescheduling hassles! – December 2014 – March 2015: Final editing choices (hours of listening), reports to grant agencies (more hours trying to decipher FACTOR budgets), writing liner notes – but the end is in site! 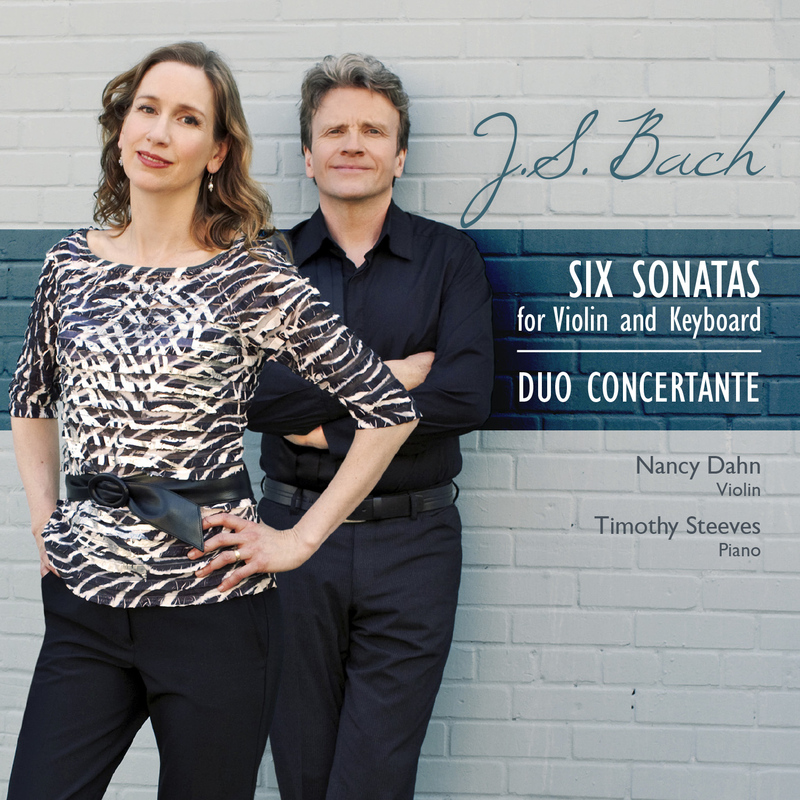 – May 2015: The CD is released on the excellent Marquis Classics label! We did it! This recording is dedicated to the memory of Gerry Germain, a great supporter of the arts in Newfoundland and Labrador, and in particular the Newfoundland Symphony Orchestra and the Tuckamore Festival. He is dearly missed. 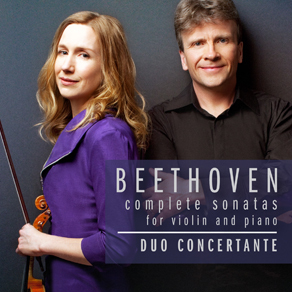 Duo Concertante also wishes to acknowledge the support of Timothy Brennan, Alice Collins, Margery and Raymond Dahn, Angela Dawe, Deborah Glassman, Terry Goldie, Adam Gravelle, Carolyn Jones, and Chris Ryan and our other Kickstarter campaign backers. We also wish to extend a special thank you to Lynn Kuo, guest concertmaster for the recording, and to Heather McKinnon, chair of the NSO, whose strong commitment to this project was critical. and parents. If you’d like to hear the broadcast it is here in podcast form. Our feature is in the 3rd hour, so about 1:45 in, though we highly recommend listening to the whole show! When you have a long tour, and I consider 18 days on the road long, you do your best to plan ahead – line up all the flights, trains, accommodations, practice space, rehearsal times, etc. weeks or months before. But the unexpected happens – good and not so good – and in the end, like in life, you just kind of have to just go with the flow. Take for example our first five days in London. We intentionally arrived there a few days early so we’d have time to rehearse with cellist, Heather Tuach for a Conway Hall trio concert. When we play in London we always stay at a lovely place that is part of the University of London near Russell Square. We especially like it because they let us use their practice rooms free of charge. One of the big challenges of touring as a pianist is still finding somewhere to practice on the days between gigs. So this place was always perfect for a longer stay. However, this time, due to renovations taking place in their main building, we couldn’t use the pianos. Happily one of our colleagues from St John’s was able to arrange a piano for us to use in a friend’s flat way across town. Then London had a Tube strike. So practicing was not an option and the streets were clogged with taxis going nowhere. So Tim walked the 8 km to and 8 km back in order to practice (….and then he developed plantar fasciitis). 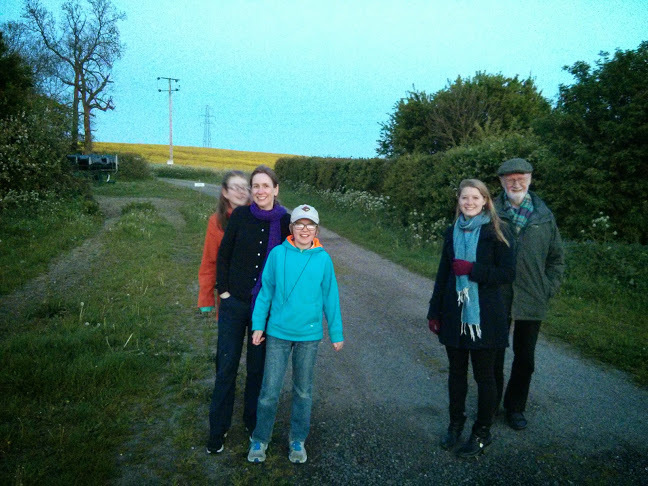 Walking in the countryside around Cambridge with our hosts. In the U.K. we travelled to Scotland and Cambridge by train – a relaxing, scenic and civilized way to get places. 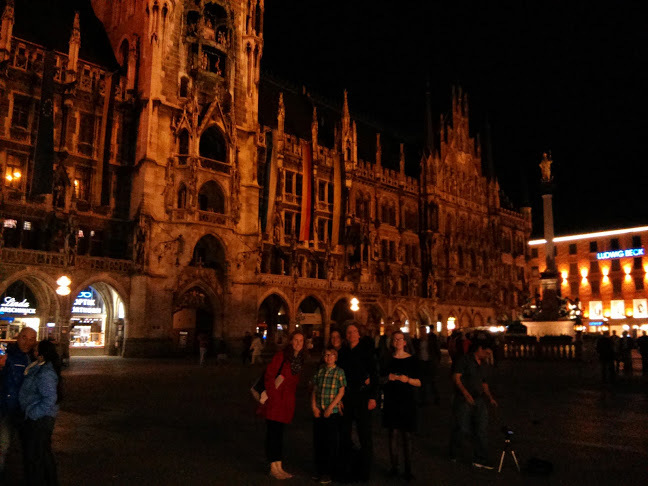 In Germany, we played 5 concerts in 6 days in Munich, Cologne and Bad Zwesten and going by train was just too expensive there, especially with our 2 kids along. So we lined up a rental car out of the Frankfurt airport months before, happy to get a great weekly rate on a small car. Tim would be the primary driver; having lived in Germany for 11 years he was familiar with the Autobahn, narrow city roads, etc. After giving our info at the car rental place in terminal 1 we walked the long, long corridor, for what seems like a mile, to the car lot. There we were handed our keys, and met our car. It was a larger than expected vehicle (good news) but a standard (not good!). (I am sure we requested an automatic.) The thought of walking all the way back to the kiosk to try to change this and delaying our already late departure, was enough to prompt Tim to proclaim: “I’m sure I can remember how to drive a stick.” (He did drive through the Cape Breton highlands in a standard VW Rabbit during a little vacation pre-kids … umm …only 17 years ago…). So, that first day we drove from Frankfurt to a friend’s house in the countryside near Kassel, and, minus a few shudders and sputters, all went just fine. In the main square in Munich. -FOOD. Eating ends up having a big presence on any tour. Sometimes it hard to find a healthy and tasty meal and not pay an arm and a leg. But when we had an unexpectedly great meal, like in London at a Vietnamese restaurant, we remember and savour it! -FRIENDS. When we travel we often end up connecting with many former students, now friends. We love to see them and hear how their lives are developing. Having them show up unexpectedly at our concerts is an added bonus! -GENEROUS HOSTS. Staying in the homes of kind concert volunteers, or at friends, or friends’ of friends, is a wonderful way to tour. Often you are fed delicious home cooked meals, sleep in cozy beds surrounded by interesting books to read, and are thankfully, driven to your concert! All this really helps you to play your best. It’s also fun to stay in someone else’s home and be part of a different routine. In Germany, that meant tea and cake at 5 and supper at 8. Our kids, since returning home, have wanted the breakfast they had in Scotland each day: egg in eggcup, grapefruit, toast with marmalade and tea each morning! And none of us would say no to a great Cologne bratwurst either! – MEETING MONIKA. It was so great to finally meet in person the lovely German publicist who worked so hard to promote our Beethoven album! We are so grateful for all her help; we so enjoyed her sunny personality and enthusiasm at our Munich concerts and sharing a meal together afterwards. -JOYS OF REPEAT PERFORMANCES. There is something about the experience of performing the same piece on many concerts that can give you a unique freedom and openness, a feeling of transcendence. It’s as if the violin, for example, feels suspended and the music is channeling effortlessly through you. One cherishes these wonderful, rare moments so much that they make the whole tour worth every second. -YOUNG PEOPLE. Munich, in addition to some crazy streets and one angry driver, has some wonderful children whose enthusiasm for music really moves the soul. We played at a school where all the grade 5 and 6 kids had prepared questions for us and had watched our YouTube channel before we got there. They were keenly interested in the music and in our lives and background as performers. When asked to choose the final piece, they picked someone’s work they already knew well and were intensively proud of, Beethoven. Here they are after the concert, getting us to sign their programs. 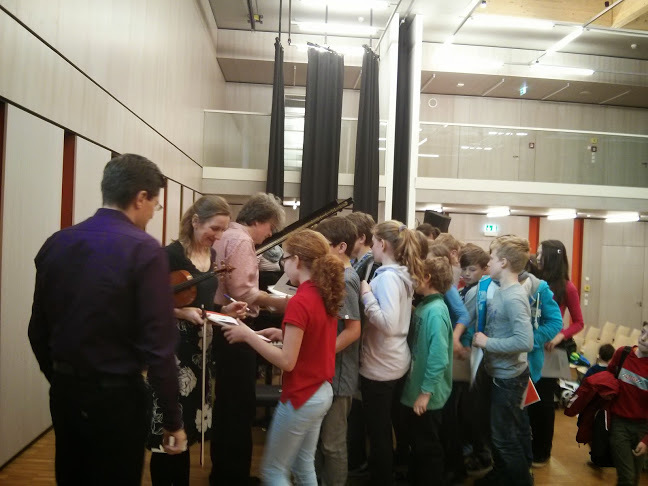 Meeting students after the school concert in Munich.